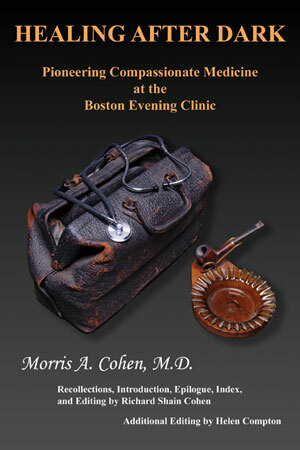 Healing After Dark is a moving memoir first written by my father, Medical Pioneer Morris A. Cohen, M.D., in 1968 about the Boston Evening Clinic, , the first “after-dark” healing center in the nation. Healing After Dark is a moving memoir of the beginnings of compassionate medicine in America. The whole story is here: the mission, the penury, the sacrifices, the resistance from the community and the medical establishment; the sponsors, the supporters, and the final success. Anyone interested or involved in the struggle today to establish health care for all will find this history compelling. I edited and updated it with many family background notes and photographs. In 1927 in the field of health care an unusual event occurred. Morris Aaron Cohen, M.D. founded the Boston Evening Clinic, an unusual and never before conceived facility for the treatment of the indigent and low-wage earners who could not afford to lose a day’s pay. 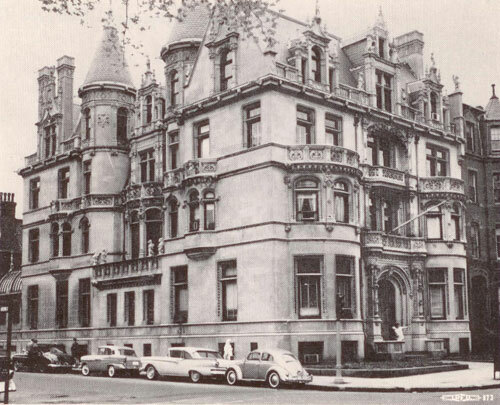 It was an endeavor that achieved success against overwhelming odds: the objections of the Massachusetts Medical Society, major hospitals, banks, and businesses. Often denounced as unethical or even called a “liar” by an outstanding member of the Society who believed Morris Cohen was taking money from the poor and placing it in his own pockets, the besieged man never surrendered. None of the criticisms was justified and all were proved false. Why? Because Dr. Morris Cohen, as his memoir attests, persisted; because he believed there were many among us who required the kind of care he believed in. Eventually, this humane man who believed in the dignity of human beings, who recognized the needs of people unable to pay for medical care during the day, rose in stature with his clinic until eventual recognition by Presidents of the United States and persons, both medical and lay, within the United States and beyond. – Roseanna H. Means, M.D. President and Chief Medical Officer, Women of Means, Inc.